Nissan is all set to step back into the Pakistan’s automotive industry. Nissan Motor Co Ltd announced that it would commence the production and sale of cars in Pakistan next year. What’s also worth mentioning here is that this initiative would make Nissan Motor Co Ltd the largest car manufacturer to operate in a market such as that of Pakistan. Nissan Motor Co Ltd and Ghandhara Nissan Ltd have entered into an agreement to introduce and produce Nissan’s Datsun Model vehicles in Pakistan. The total investment associated with this agreement and licensing is over Rs4.5 billion and the sale of Nissan Datsun vehicles is expected to commence in 2019. Nissan and Ghandhara would be working in association to develop a world-class manufacturing plant and other facilities for Ghandhara at Port Qasim, Karachi. 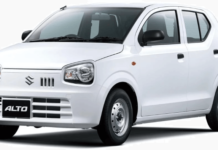 The CEO of Ghandhara indicated that the plant would be able to produce 32,000 Nissan Datsun units a year. Shedding light on the incentives this agreement will bring for the locals, he said, “By localizing the manufacture of parts and components and boosting development in the auto supplier industry, it will provide Pakistan with technical assistance and promote partnerships with Japan”. Not only would this partnership agreement provide wide variety for the consumers in Pakistan, but would also generate over 1,800 jobs, contributing positively towards the economy. These locally manufactured vehicles would be in-line with modern standards and would be equipped with features aimed at enhancing safety and convenience.